5. Wainscoting. 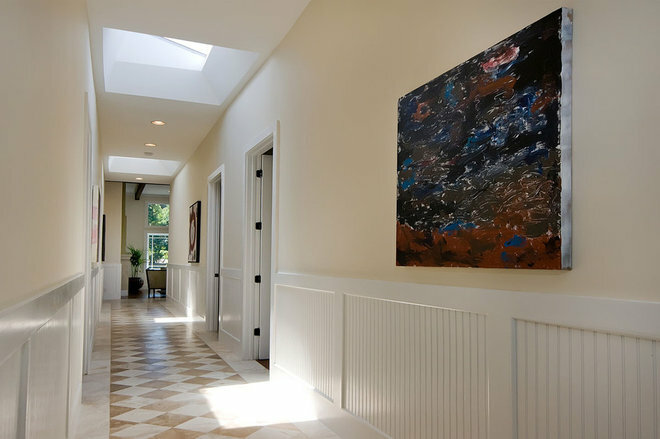 Hallway wainscoting is a great decorative design element, but it also helps protect drywall from scrapes, bumps and marks. 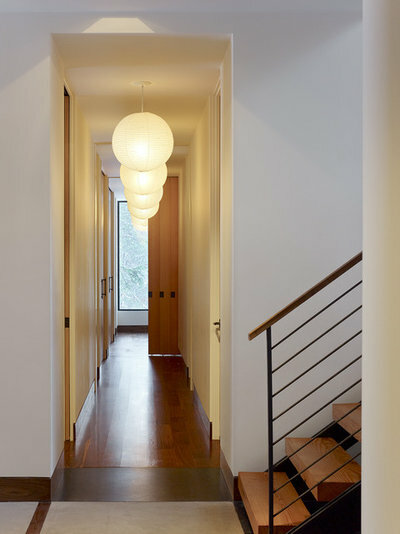 Traditionally, wainscoting was installed in transitional spaces like this, to protect active rooms from heavy traffic. 6. Bookcases. Some avid readers can never have enough room for books. Extend a library out to the hallway to create extra display space for beloved books. 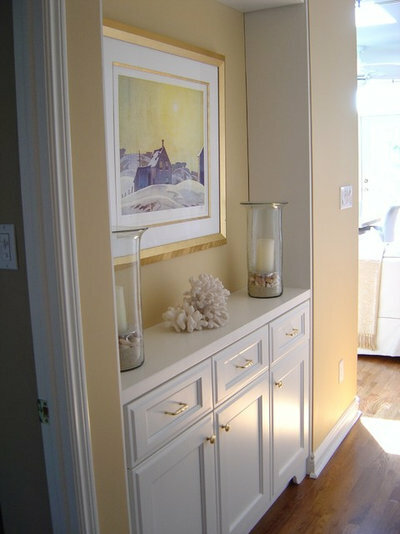 Whether built-in or purchased, bookcases can add a functional and aesthetic element to wider hallways. 7. Murals. 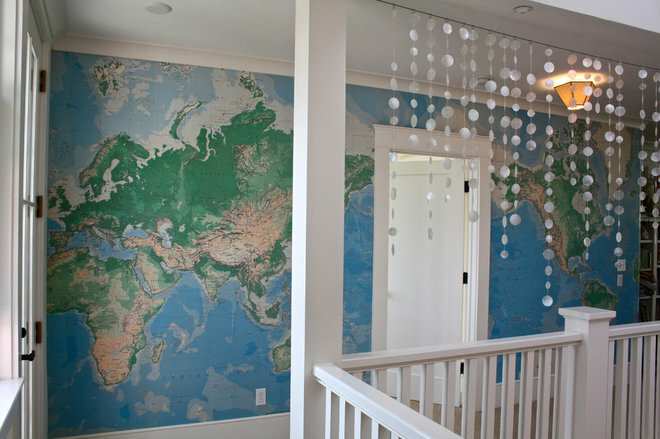 A floor-to-ceiling map installation can transform an awkward hallway into an educational opportunity. Don’t like the look? Wall decals and murals come in all sorts of customizable options, and they’re often more affordable than wallpaper. 8. Framed mirrors. 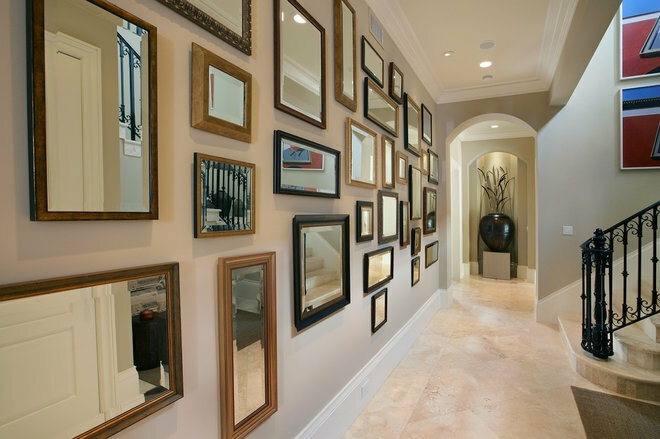 For those who love the gallery look but don’t know what to put in their frames, a hall of mirrors can be the perfect solution. 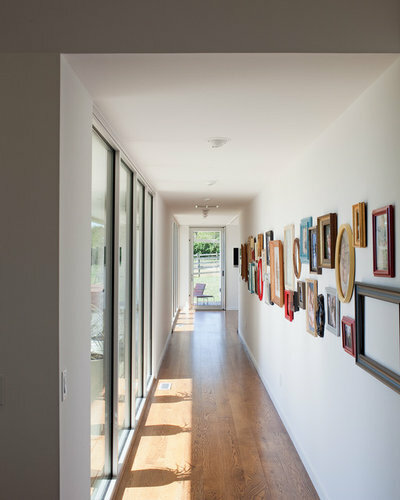 An installation like this can highlight a great collection of frames, or simply bring additional light and visual space into a small and dark hallway.